The Other Side of Someday, book one in the Carolina Days series, is currently free! Chasing Daylight tells the story of Mitch, a wounded warrior who lost his leg overseas. His therapy dog, Zeus, is his constant companion as he continues to battle PTSD. When Zeus’s live is in jeopardy, he meets McKenzie, who works in a animal clinic. McKenzie moved to North Carolina after ending an abusive relationship and has sworn off men. Unable to stop thinking about her, Mitch tries to prove he would never hurt her. McKenzie learns that no matter how big and strong Mitch appears to be, maybe he needs her to save him from his current self-imposed life of isolation. 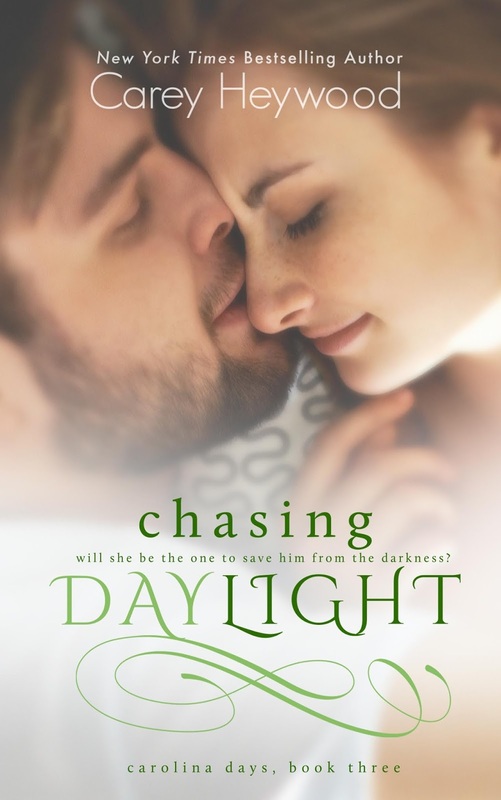 Chasing Daylight is the third book in the Carolina Days series, by New York Times Bestseller Carey Heywood. This is an interconnected series of standalone novels all set in North Carolina.